The monumental stable release of HAProxy 1.8 is coming! The HAProxy 1.8 release candidate 1 (RC1) has been published by the R&D team here at HAProxy Technologies, and in this blog post we are going to take you through some of the release highlights, new features, and configuration examples to get you up to speed. Performance and Application Acceleration — HAProxy has always been known for its reliability and performance, but in HAProxy 1.8 we’ve managed to make further improvements and include some features to speed up your applications (like HTTP/2 support). The HTTP/2 protocol has been seeing fast adoption, and HAProxy 1.8 now supports HTTP/2 on the client side (in the frontend sections) and can act as a gateway between HTTP/2 clients and your HTTP/1.1 and HTTP/1.0 applications. This is all you need to enable HTTP/2 support on a particular frontend, but a complete and more detailed blog post related to the HTTP/2 support is also coming out soon, so stay tuned! Sometimes these limitations got in our users’ way, and as a workaround we used to configure a bunch of “client side processes” pointing to a single “server side process” on the same machine. It was a bit hackish, but it worked very well with the Runtime API and the proxy protocol. In HAProxy 1.8 we’ve added support for an additional mode — using threads instead of processes, which has an advantage in that it solves all of the limitations listed above. The implementation and challenges involved here were very interesting (e.g. concurrent access to data in memory), and a complete blog post on this subject will be published in the near future. This was definitely one of the more interesting problems that the HAProxy Technologies R&D team had a chance to identify and fix! Initially, we wanted to make absolutely sure that configuration reloads or version upgrades of the HAProxy processes did not break any client connections in the process. We believed that this required some improvements in HAProxy, which were yet to be determined. But after a thorough investigation, it turned out that the issue was unrelated to HAProxy itself. The issue was present in the kernel and it was affecting HAProxy as well as all other software that was regularly pushed to the limits as HAProxy was. 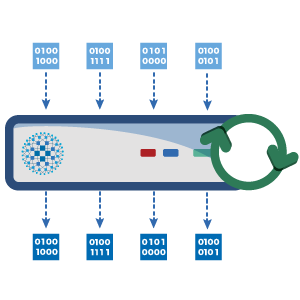 We published a blog post detailing the complete problem, titled “Truly Seamless Reloads with HAProxy – No More Hacks!”. It contains a description of what improvements were done in HAProxy to solve the issue and what effective workarounds can be applied for other software. HTTP response caching is a very handy feature when it comes to web application acceleration. The main use for it is offloading some percentage of static content delivery from the application servers themselves, and letting them more easily perform their primary duty — delivering the application. HAProxy is staying true to its principle of not accessing the disks during runtime and so all objects are cached in memory. The maximum object size is as big as the value of the global parameter “tune.bufsize”, which defaults to 16KB. This is a general-purpose caching mechanism that makes HAProxy usable as a small object accelerator in front of web applications or other layers like Varnish. The cool thing here is that you can control how large the objects to cache and accelerate delivery should be. Cloud and microservices environments have redefined the way modern load balancers should work and the way they should expose functionality during runtime. Historically, HAProxy’s configuration was pretty static and changing the list of backend servers was only possible by reloading the configuration. 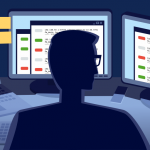 Over time, this approach became unsuitable for environments where backend servers are scaled up and down very often or where VMs and containers often change their IP addresses. With HAProxy 1.7, it was possible to change the servers’ IP addresses and ports during runtime by using the Runtime API, and DNS resolution during runtime was also possible. 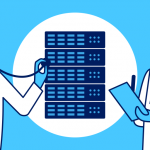 The server-template configuration directive allows users to instantiate a number of placeholder backend servers in a single configuration line, instead of having to add tens or hundreds of configuration lines explicitly. This would create 200 placeholder backend servers named www1 to www200 with the same IP address and port. A third party “controller” can then use the Runtime API to keep the list up to date with correct backend server data and settings, and this information would often come from an orchestration system. HAProxy can keep the list of backend servers up to date by using the DNS SRV or A records. If the orchestration system does not support DNS SRV records (such as Docker swarm mode), then A records can now be used as well. 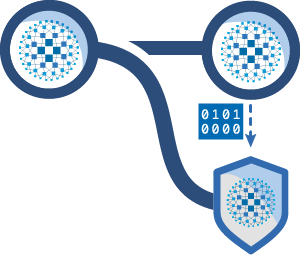 HAProxy’s DNS support has been improved so that it does not duplicate IP addresses when different DNS record types are encountered, and it automatically adjusts the number of backend servers to the number of records provided in the DNS responses. We have described this functionality in detail in a recent blog post titled “DNS for Service Discovery in HAProxy”. One of the challenges our users faced with scaling the backend servers was the cookie-based session persistence. 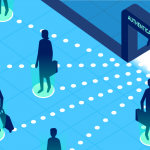 Even though applications developed for dynamic environments were supposed to be as stateless as possible, some of them still required persistence or had additional benefits when it was enabled or present. Furthermore, two HAProxy processes load balancing the same application had to be able to apply the same persistence and consistency in the order the servers were provided. We explained in detail how the Runtime API can be used to make changes during runtime in the blog post titled “Dynamic Scaling for Microservices with the HAProxy Runtime API”. Historically, HAProxy always started as many processes as were requested by configuration – one by default, and more if the setting nbproc was set to higher than 1. All processes were then used to manage the traffic and the PID of each process was written at startup to pidfile. But this wasn’t really convenient in cases where 3rd party software was monitoring and controlling the HAProxy processes (e.g. needing to reload them) as it had to be aware of HAProxy’s individual processes and control each one separately. One of the examples in this category was certainly systemd. To address these problems in a general way, a new master/worker mode was implemented in HAProxy 1.8. HAProxy now launches one master process and a number of additional worker processes (one or more, as specified in the configuration). The new master process monitors all the worker processes and controls them from a single instance as you would expect. This relieves systemd or any other software from having to manage individual HAProxy worker processes. In the example above, sending a signal USR2 to the master process (kill -SIGUSR2 15012) would trigger a reload of all worker processes automatically. This mode is now the preferred mode for systemd-based installations and for configurations with nbproc greater than 1. There was a lot of general demand for 0-RTT support (often called just TLS 1.3), but it is important to know that by default 0-RTT makes TLS vulnerable to replay attacks and that a higher protocol must prevent that. The IETF HTTP working group has been working on a draft to define how to safely map HTTP on top of 0-RTT to provide both performance and security. HAProxy 1.8 is the first server-side component to implement this draft, and we will soon be running interoperability tests with a well known browser which has just implemented it on the client side. In HAProxy, this feature can be enabled by compiling with openssl-1.1.1 and adding “allow-0rtt” directive on the bind line. Your HAProxy will then become more responsive at processing traffic while SSL keys are being computed. HAProxy is able to extract data from traffic passing through it. We call these functions “sample fetches”. More information about sample fetches can be found under “Fetching Data Samples” in the HAProxy Enterprise documentation. With the above Lua code and configuration, HAProxy will set header “X-backend” in all responses sent to the clients. The value of the header will contain the backend name. The same approach could be used for frontends as well, just by replacing “backend” with “frontend” in appropriate places. We hope you have enjoyed this quick tour of the notable features coming up in HAProxy 1.8. The HAProxy Technologies R&D team has been working tirelessly to deliver them, and we thank the HAProxy community members who have also made contributions to this release. 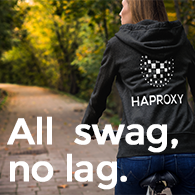 We hope to get many community members testing out HAProxy 1.8 release candidate 1 (RC1) to make sure it’s the best release of HAProxy yet. If you would like to make use of some of the new features before waiting for the stable release of HAProxy 1.8 (late November 2017), please see our HAProxy Enterprise – Trial Version or contact HAProxy Technologies for expert advice. 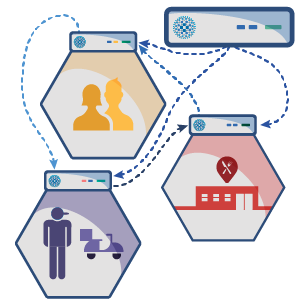 HAProxy Enterprise is our commercially supported version of HAProxy based on the HAProxy Community stable branch where we backport many features from the dev branch and package it to make the most stable, reliable, advanced and secure version of HAProxy. It also comes with high performance modules, specialized tools and scripts, and optimized third party software to make it a true enterprise ADC. The best part is that you get enterprise support directly from the authoritative experts here at HAProxy Technologies. In parallel with preparations for the stable release of HAProxy 1.8, we will also be publishing further blog posts describing the new features in detail written directly by members of our HAProxy Technologies R&D team. Outstanding achievements on this release, looking forward to upgrading and using these in Production. Indeed, monumental release, waiting to try it soon. Great work! thank you haproxy team. keep up the good work! Great work! Does this mean that we can disable/enable servers using an admin socket in master/worker mode? So no need to talk to all admin sockets? You still need to talk to all the socket. Hence it’s simpler to use the threaded model, where you need to talk to a single socket. These notes are great. Thanks. Are all of these new features available in the community edition? Or only the Enterprise Edition? I’m especially interested in the Runtime API. Yes, those features are available in the community edition. This blog article focuses on the community edition. The runtime API is also known as the “stats socket” in the configuration guide. is the 8080 port? Should not the port be resolved from the SRV record? How can I use the port from SRV record at HAproxy server configuration? I was googling everywhere. Please help. HAProxy will replace the default port 8080 by the one provided in the SRV record. Same for the server’s weight. Thank you very much for a response! I noticed that when the server’s weight is 0 it will ignore the server completely nd the server will enter the DRAIN. How can I change this default behaviour? Or can I turned off weights completely? I tried the balance first algorithm which according to doc should ignores weights, but nothing changed. Changing the weights at SRV records is not an option for me. What you’re observing is the default behavior of HAProxy and it can’t be changed. Why would you like to change it? When some servers has removed from SRV records. And the state of servers become DOWN. How to remove these servers or make the state back to MAINT automatically in backend setting ? They should be removed automatically. There might be a bug, we’re investigating it. I tried to use SRV option with consul, but I don’t find the HaProxy correct structure to do it. ¿Do you have any example for this case? The way your hostname is written is understood as an A/AAAA record by HAProxy. SRV queries starts by an underscore “_”. In multithreaded mode, are the stats common to all threads? HAProxy, you guys are awesome!